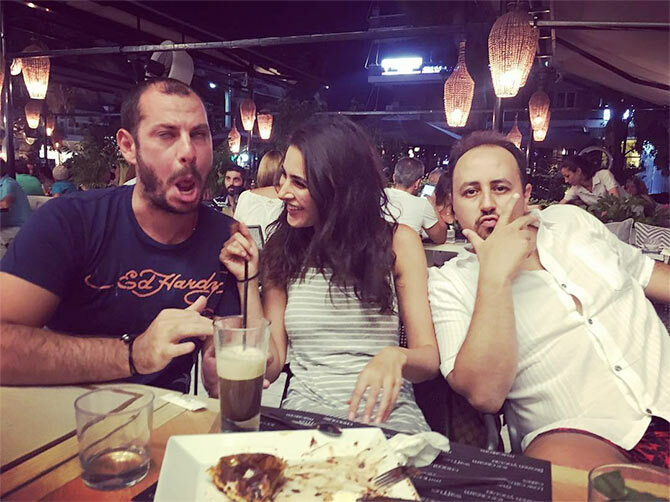 Rediff.com » Movies » PIX: Nargis Fakhri's GREAT Greek holiday! 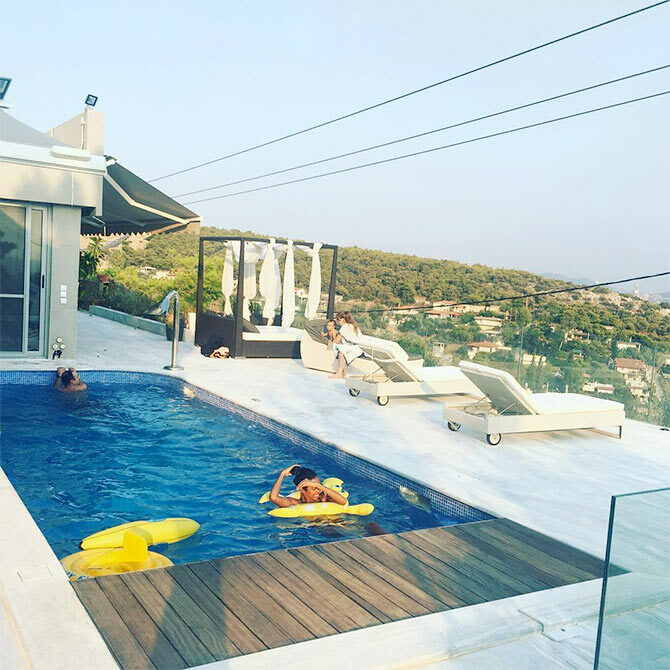 Bollywood stars go for the loveliest holidays -- exotic locations with a lot of adventure thrown in. 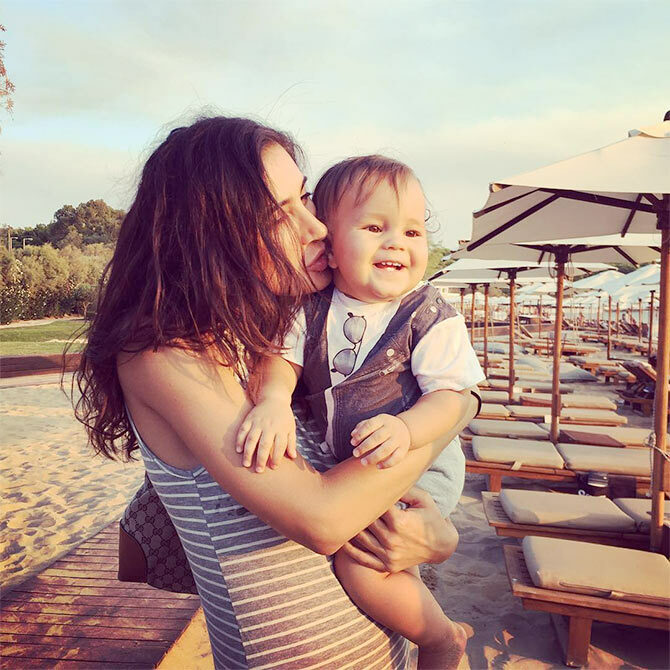 Mallik Sherawat took a trip to France, Ranveer Singh explored Sitwzerland, Bipasha Basu and Karan Singh Grover visited Bali, Malaika Arora Khan and her son had a lovely vacation in Maldives. 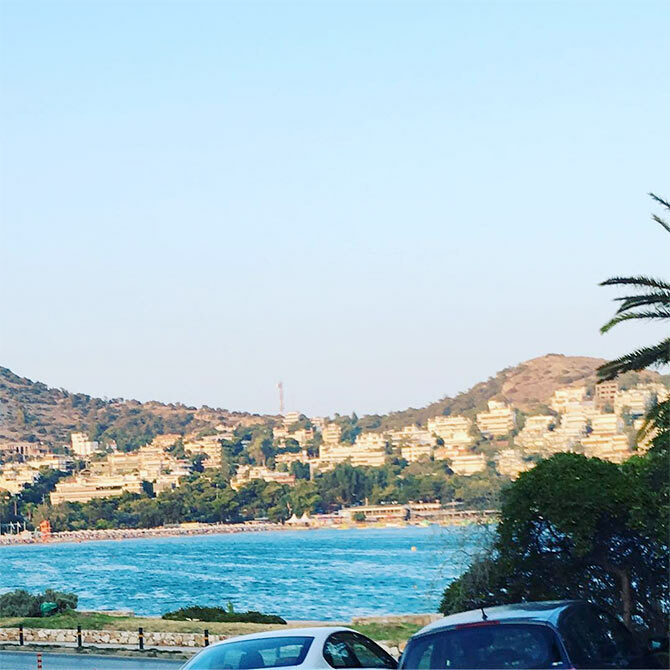 Let's take a look at Nargis Fakhri's beautiful Greece holiday, courtesy pictures from her Instagram feed. Nargis enjoys the waves at the Astir beach. A beautiful view of the beach. Nargis enjoys a cuddle with a friend's baby. And some fun times with her pals. After 'a hard day at the beach', Nargis feels she deserves this. It's a cheat day for her. The beach was on her 'to do' list everyday! The kid seems to enjoy being flanked by two hot ladies. 'Enjoy Life Now, This is not a rehearsal,' Nargis captions this picture. And *this* is how to enjoy life! Basking in the Greek sun. Posing at the Roof Terrace Bar, Hotel Grande Bretagne, in Athens. 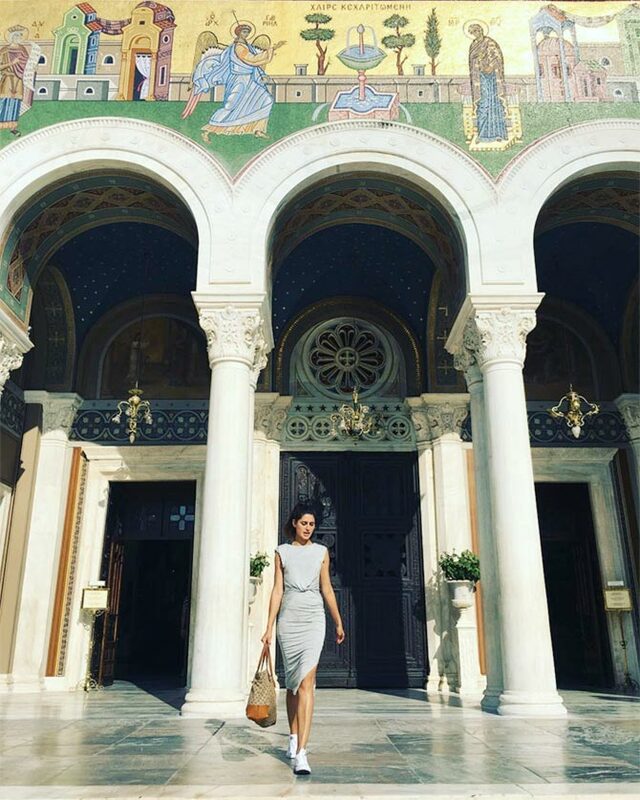 Nargis gets all touristy at the Cathedral Of Athens. 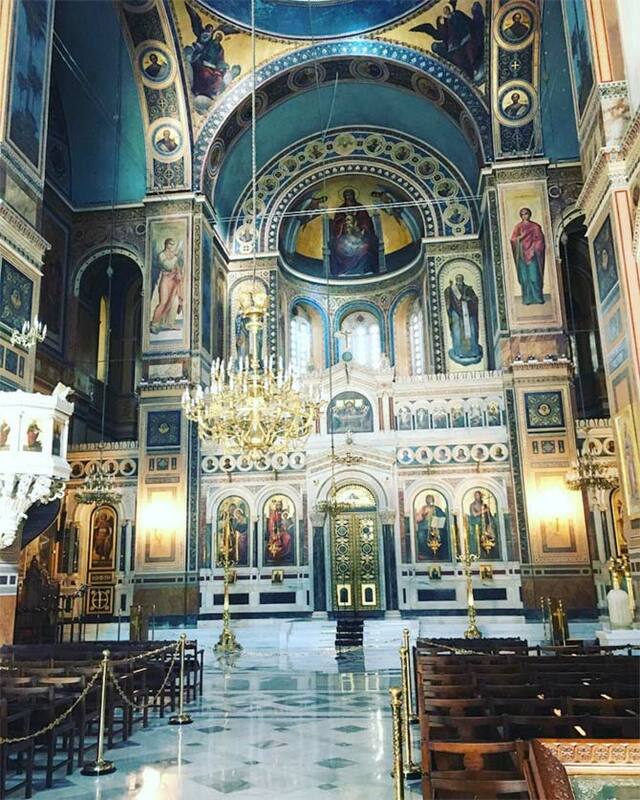 The interiors of the Cathedral.